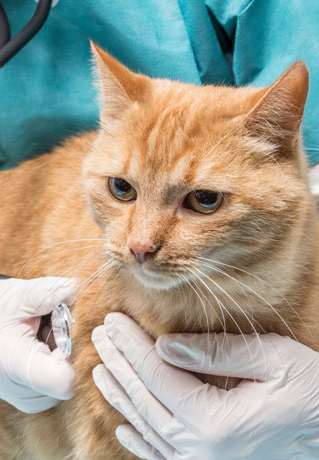 If your cat is shaking its head or scratching at the ears, it seems that an old ear infection is coming back. If so, remember that chronic, recurrent ear infections can lead to ongoing discomfort and middle ear infections. It is best to diagnose the cause of the ear infection early and treat it accurately. Ear care is a very important part of cat care as ear problems and ear infections are one of the most commonly observed pet health problem. Allergies, ear parasites, ear infections, hearing loss, and a loss of balance are some of the common ear-related problems. Some of these problems may be directly observed at home, while others may present as a hidden problem of the middle or inner ear. As most pets with chronic, ongoing ear problems may end up needing surgery or long-term therapy, it is important to treat ear problems early. Ear care is a very specialized part of veterinary medicine, which generally falls under the auspices of a veterinary dermatology-trained veterinarian. Our staff is equipped with the highest level of training and the most superior ear care equipment such as video-otoscopy, middle ear flush Earigator, in-hospital diagnostics, and more. Trust our veterinarians to provide the best treatment or management plan for your pet’s ear problems. Learn more by visiting our clinic at: 3995 Hastings Street, Burnaby, BC, V5C 2H8; or by calling us at: 604-291-6666.